Earlier this month, we sat around the table at The Harp on Cleveland’s near west side. 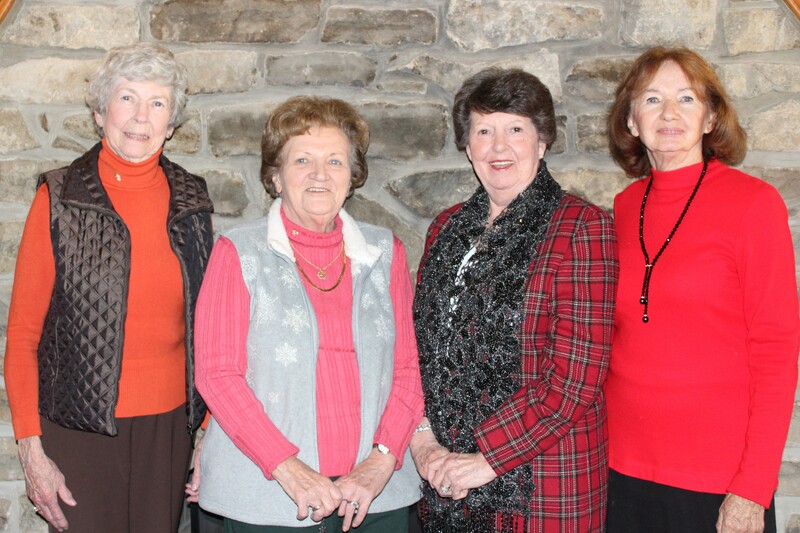 We spoke with some of the founding and long-time members of the Visitation Home’s Fundraiser Committee., as they gathered to talk about this year’s dance. This group has been gathering for 20 years to raise funds for the Visitation Home, a non-profit organization that is a ministry of the Little Brothers and Sisters of the Eucharist. “We just do a little bit,” says one of the ladies. 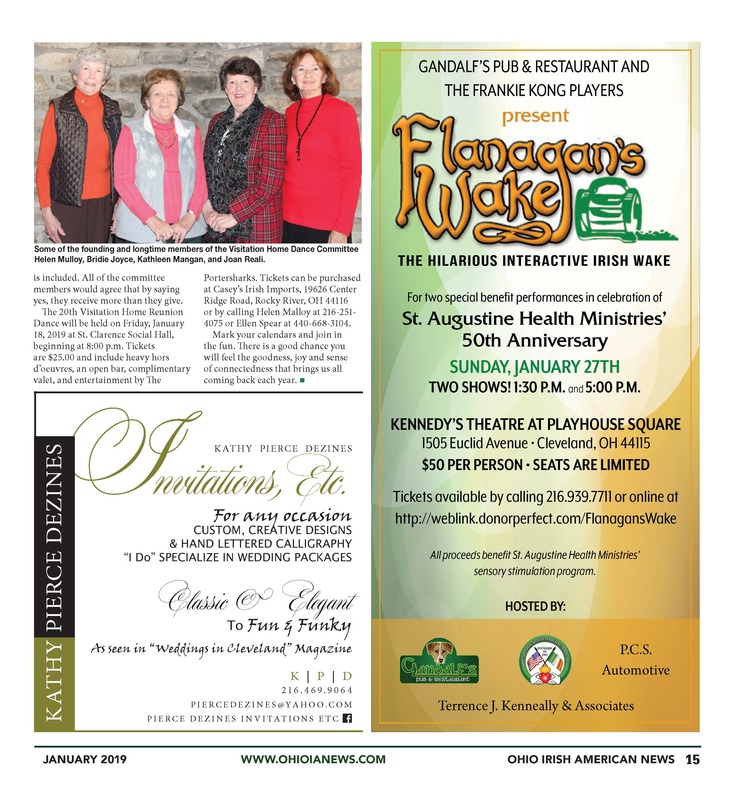 If you have been around the Cleveland Irish scene for any length of time, you’d recognize these faces. And you too would find this statement hard to believe. We chose not to argue with them, and rather ask, why. Why have you been a part of this work? “It makes you feel good, and when you see the need, how can you not?” says another. 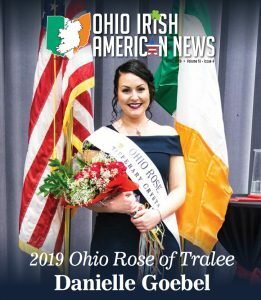 Something beautiful in the local Irish community is the generations of involvement. 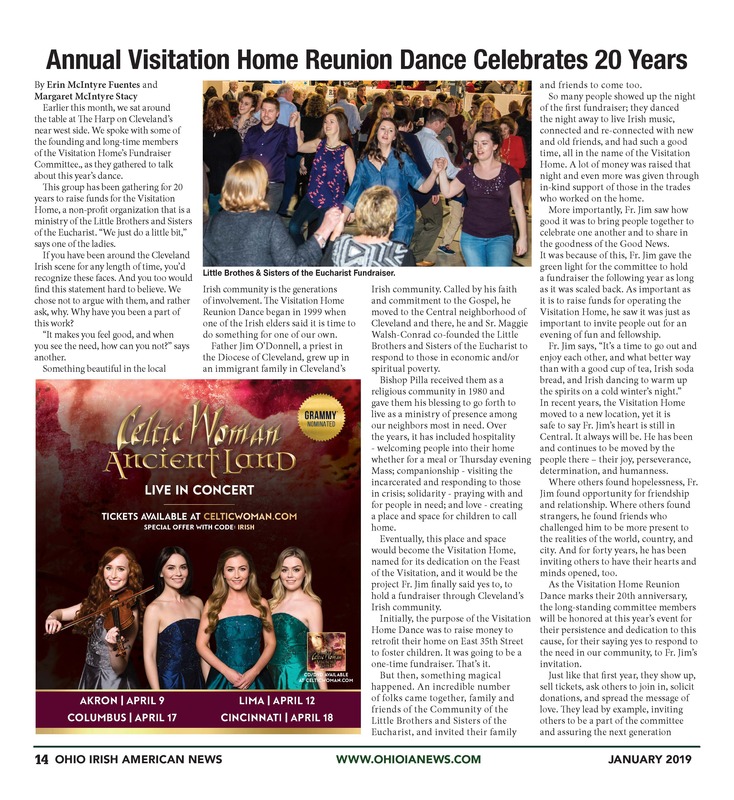 The Visitation Home Reunion Dance began in 1999 when one of the Irish elders said it is time to do something for one of our own. 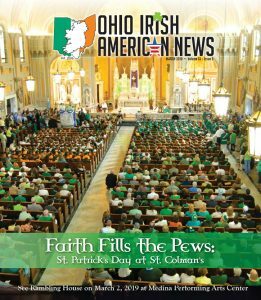 Father Jim O’Donnell, a priest in the Diocese of Cleveland, grew up in an immigrant family in Cleveland’s Irish community. 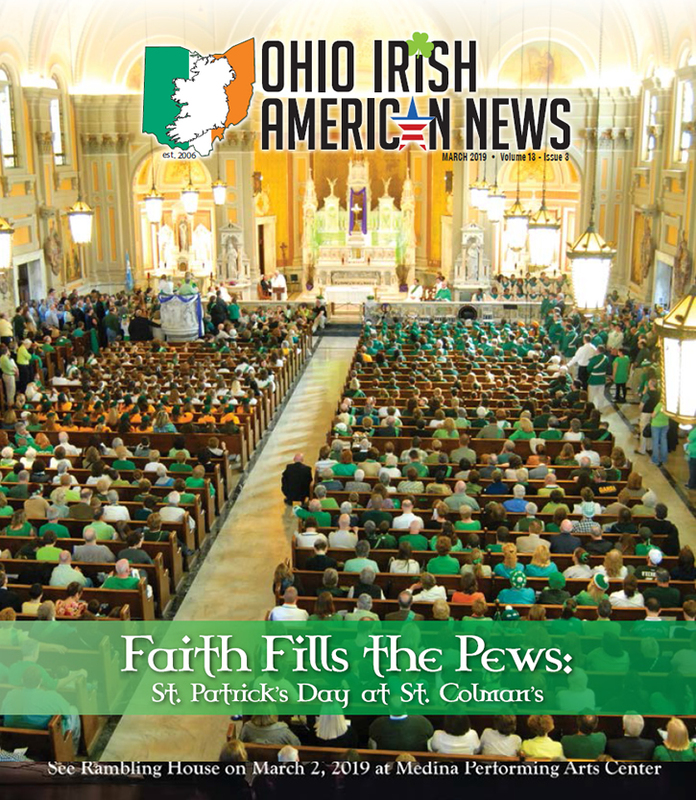 Called by his faith and commitment to the Gospel, he moved to the Central neighborhood of Cleveland and there, he and Sr. Maggie Walsh-Conrad co-founded the Little Brothers and Sisters of the Eucharist to respond to those in economic and/or spiritual poverty. Bishop Pilla received them as a religious community in 1980 and gave them his blessing to go forth to live as a ministry of presence among our neighbors most in need. 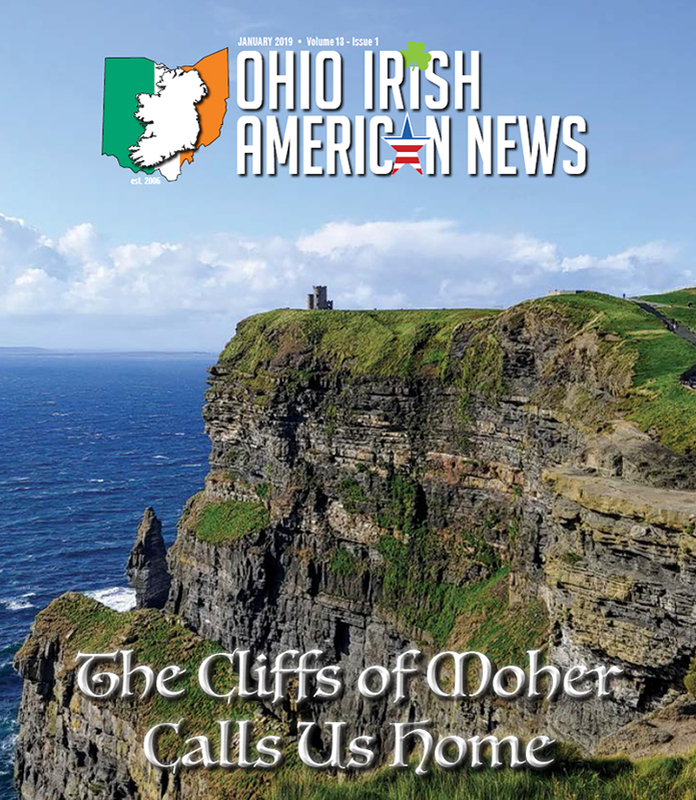 Over the years, it has included hospitality – welcoming people into their home whether for a meal or Thursday evening Mass; companionship – visiting the incarcerated and responding to those in crisis; solidarity – praying with and for people in need; and love – creating a place and space for children to call home. Eventually, this place and space would become the Visitation Home, named for its dedication on the Feast of the Visitation, and it would be the project Fr. Jim finally said yes to, to hold a fundraiser through Cleveland’s Irish community. Initially, the purpose of the Visitation Home Dance was to raise money to retrofit their home on East 35th Street to foster children. It was going to be a one-time fundraiser. That’s it. But then, something magical happened. An incredible number of folks came together, family and friends of the Community of the Little Brothers and Sisters of the Eucharist, and invited their family and friends to come too. Some members the Visitation Home Dance Committee with Fr Jim ODonnell and Sr Maggie Walsh Conrad. 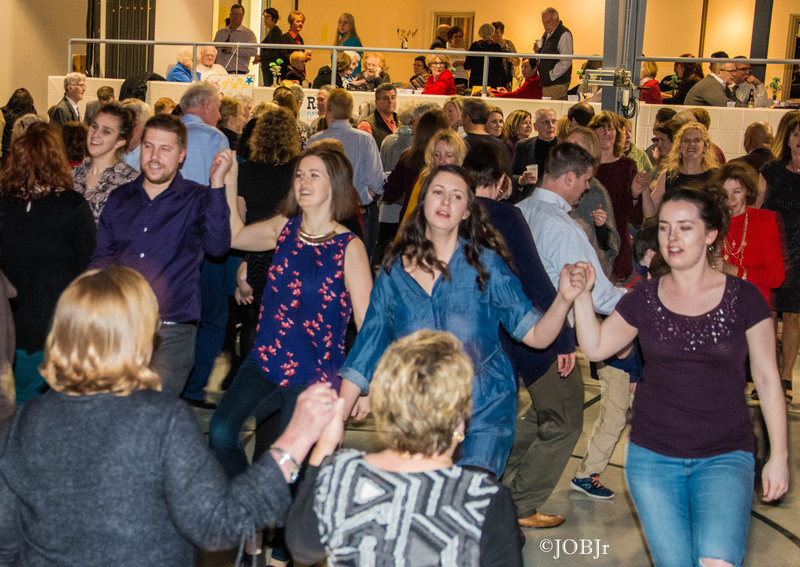 So many people showed up the night of the first fundraiser; they danced the night away to live Irish music, connected and re-connected with new and old friends, and had such a good time, all in the name of the Visitation Home. A lot of money was raised that night and even more was given through in-kind support of those in the trades who worked on the home. More importantly, Fr. Jim saw how good it was to bring people together to celebrate one another and to share in the goodness of the Good News. It was because of this, Fr. Jim gave the green light for the committee to hold a fundraiser the following year as long as it was scaled back. As important as it is to raise funds for operating the Visitation Home, he saw it was just as important to invite people out for an evening of fun and fellowship. In recent years, the Visitation Home moved to a new location, yet it is safe to say Fr. Jim’s heart is still in Central. It always will be. He has been and continues to be moved by the people there – their joy, perseverance, determination, and humanness. Where others found hopelessness, Fr. 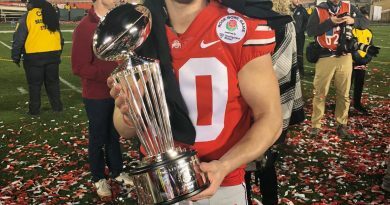 Jim found opportunity for friendship and relationship. Where others found strangers, he found friends who challenged him to be more present to the realities of the world, country, and city. And for forty years, he has been inviting others to have their hearts and minds opened, too. 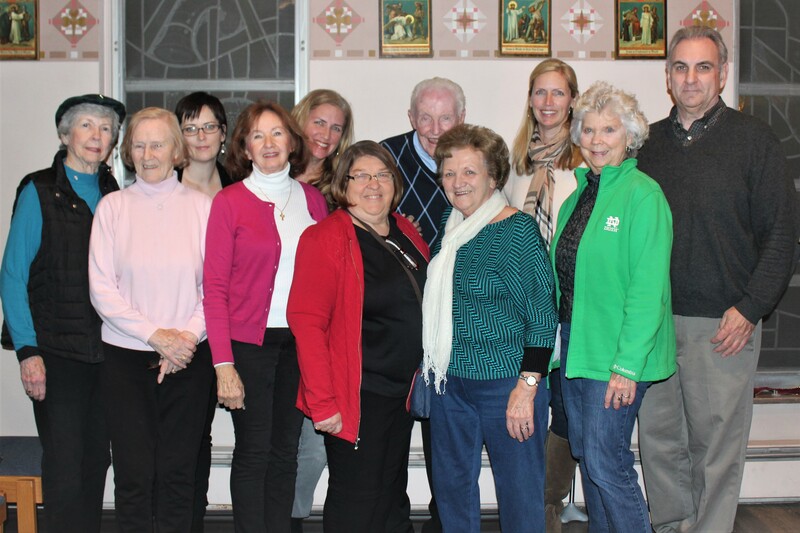 As the Visitation Home Reunion Dance marks their 20thanniversary, the long-standing committee members will be honored at this year’s event for their persistence and dedication to this cause, for their saying yes to respond to the need in our community, to Fr. Jim’s invitation. Just like that first year, they show up, sell tickets, ask others to join in, solicit donations, and spread the message of love. They lead by example, inviting others to be a part of the committee and assuring the next generation is included. All of the committee members would agree that by saying yes, they receive more than they give. 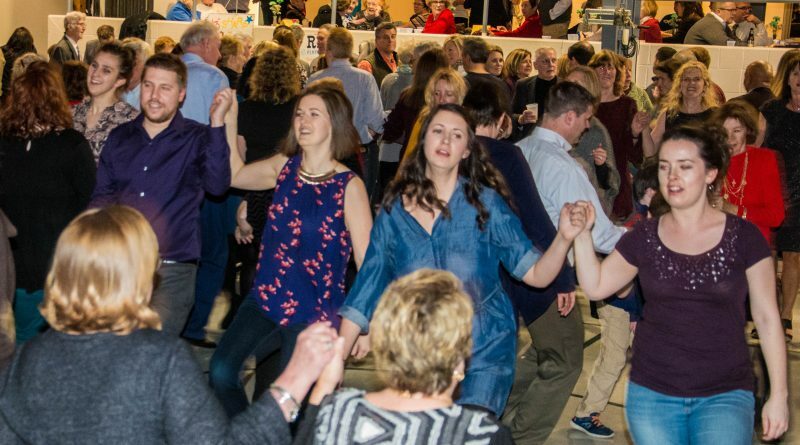 The 20thVisitation Home Reunion Dance will be held on Friday, January 18, 2019 at St. Clarence Social Hall, beginning at 8:00 p.m. Tickets are $25.00 and include heavy hors d’oeuvres, an open bar, complimentary valet, and entertainment by The Portersharks. 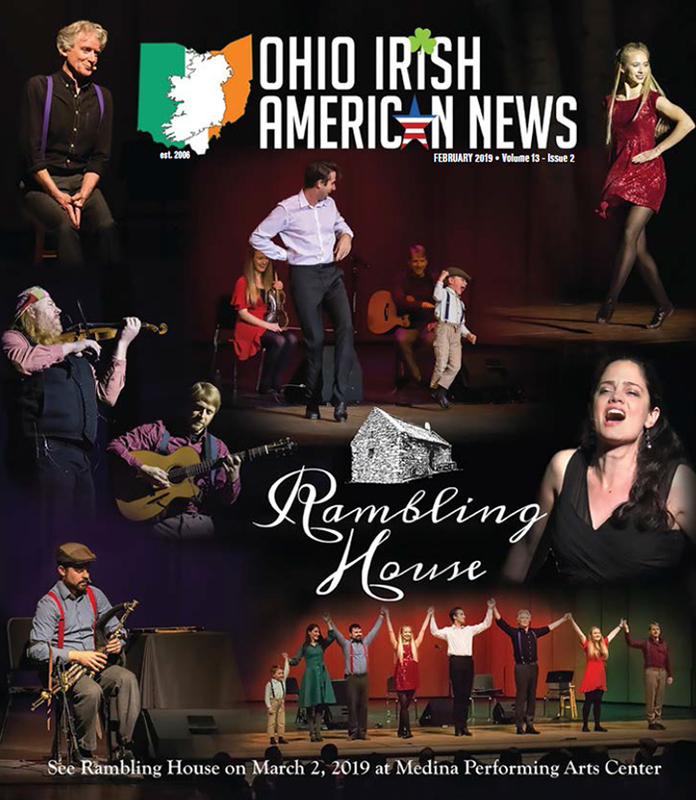 Tickets can be purchased at Casey’s Irish Imports, 19626 Center Ridge Road, Rocky River, OH 44116 or by calling Helen Malloy at 216-251-4075 or Ellen Spear at 440-668-3104. Mark your calendars and join in the fun. There is a good chance you will feel the goodness, joy and sense of connectedness that brings us all coming back each year. ← When Irish Eyes Are Smiling: Be Very Afraid!